Our salads come topped with lots of ingredients. Select your favorite! 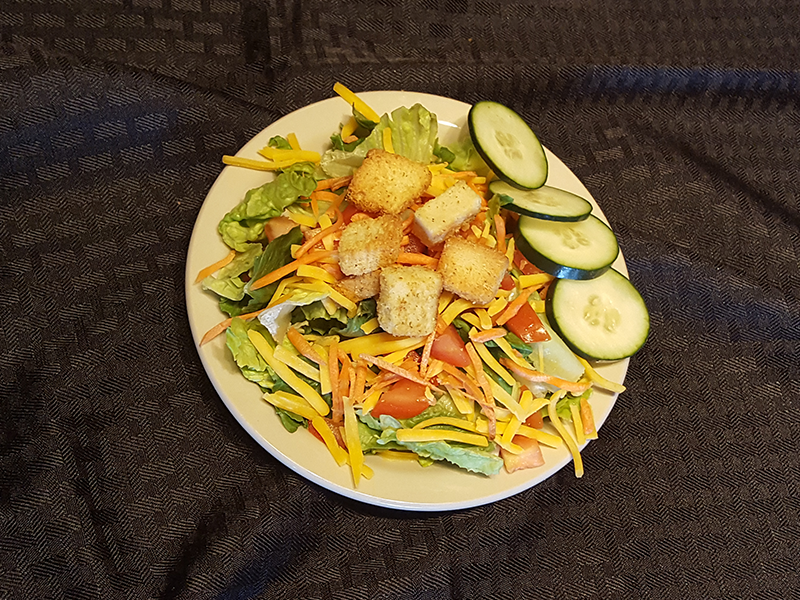 Eagle’s Nest House Salad, loaded! 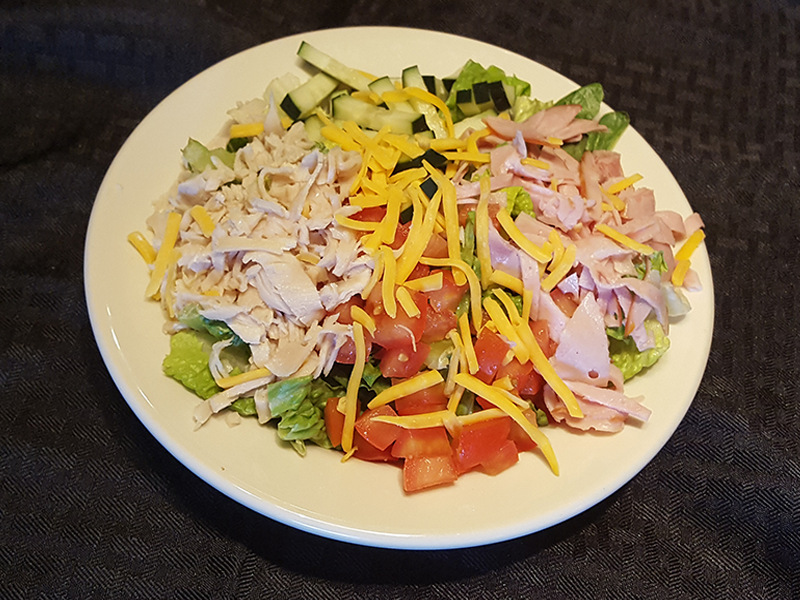 Chef Salad topped with Ham, Turkey, shredded Cheddar Cheese, Tomato, and Cucumber. 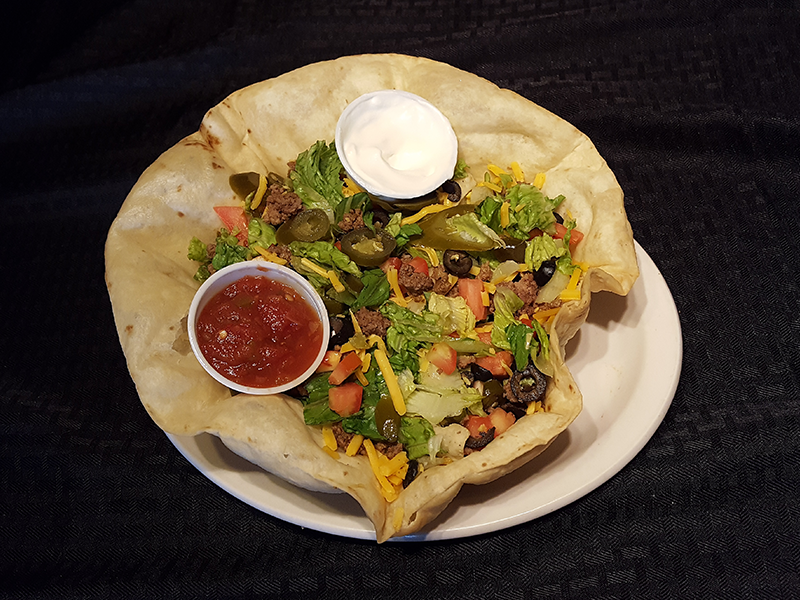 Incredibly delicious Taco Salad in a deep filled crust with Taco Meat, shredded Cheddar Cheese, Black Olive, Jalapeno, and Tomato. 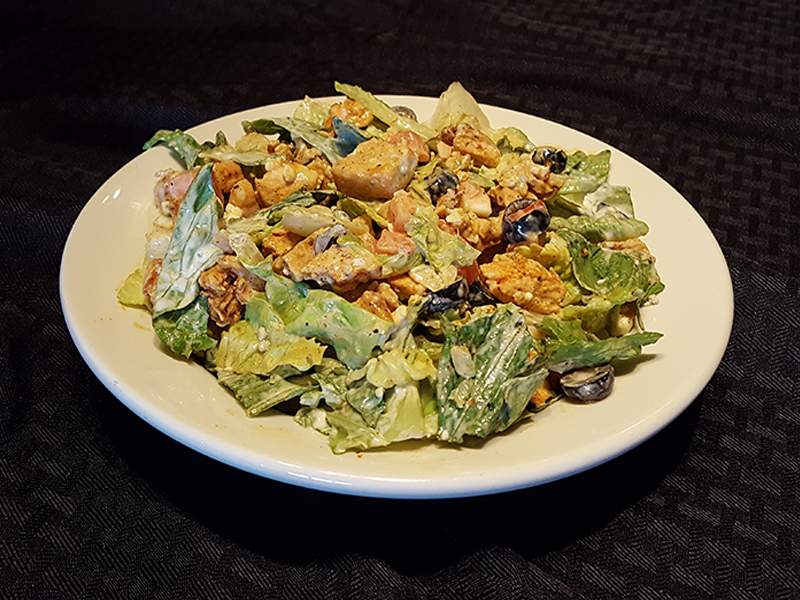 Chicken Caesar Salad featuring a delightful combination of tender Grilled Chicken, crispy Romaine Lettuce, Parmesan Cheese, Tomato, and Croutons.